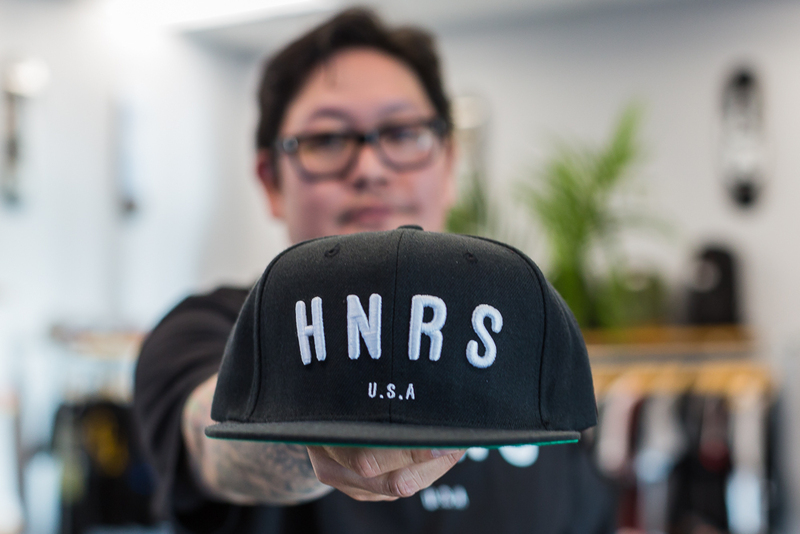 Just-opened HNRS, pronounced “honors,” is the latest venture from industry veteran Todd Shimabuku. An appropriate name for the new project by someone well-respected within the community who has helped brands from the onset including LRG, 4CE FOOTWEAR, IN4MATION, QUINTIN, ILLEST, and CROOKS & CASTLES, and more. Todd co-founded In4mation in 2002 and has since brought streetwear to the Islands, simultaneously shining a light on his home state of Hawaii as a destination for not only sun and surf, but also for fashion and skateboarding. 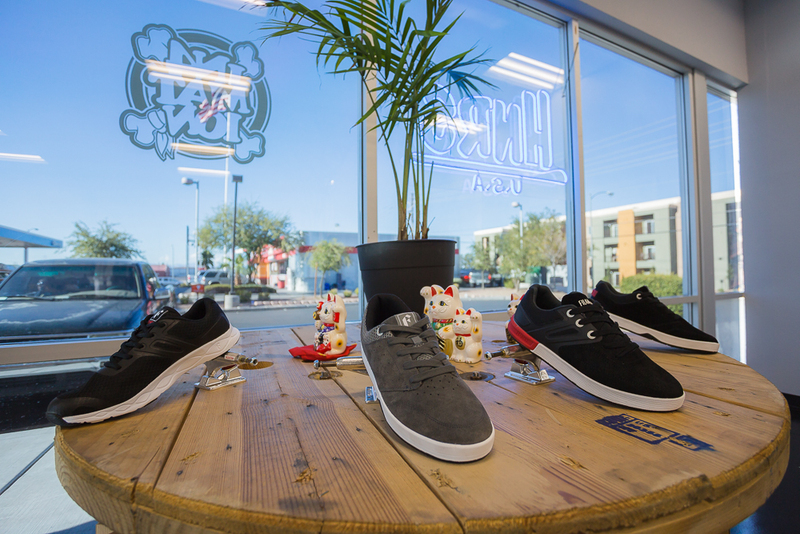 After leaving Hawaii a few years back, Todd set out to Las Vegas to continue his business stateside. After years of working for multiple brands and companies, he has once again found the entrepreneurial urge to start his own brand. Like many entrepreneurs, Todd has made that leap of faith alongside the sacrifice needed to make a startup successful, but if anyone has the skillset and experience to excel it would be Todd. 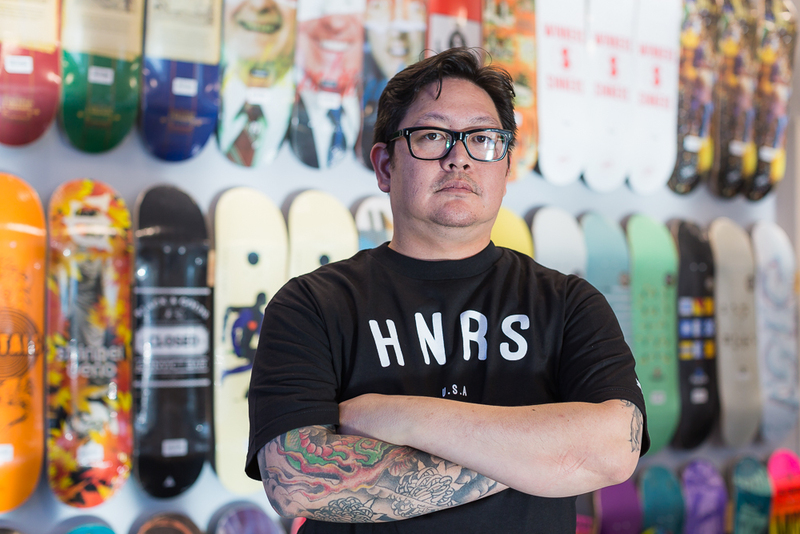 His passion to share his childhood love of skateboarding has culminated to this point: The opening of HNRS in Las Vegas. 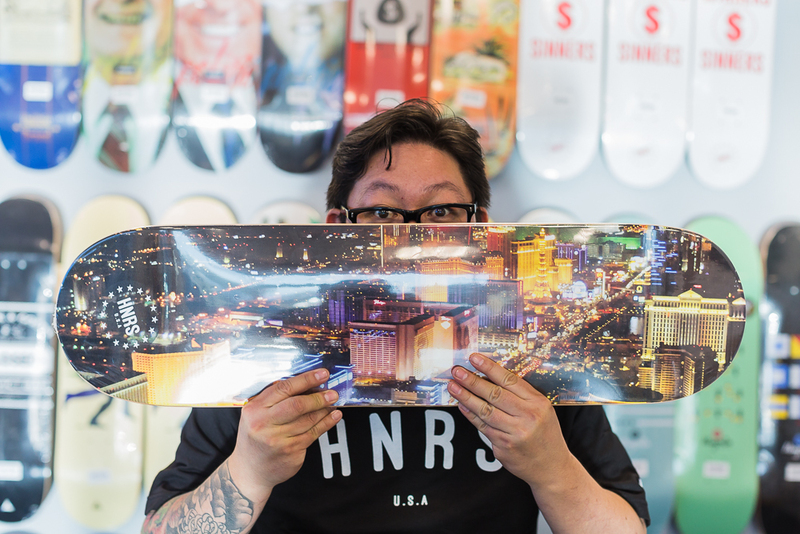 I stopped by HNRS to chop it up with Todd on my way home from the Agenda tradeshow to chat about his new venture in Sin City. JOHN: What is the meaning behind the name HNRS? TODD: The name HNRS was just a word or term that stuck close to me growing up, as both my father and grandfather were really strict with their family values and tradition. As my father and grandfather both passed away in 2008, I decided to use the word Honor if I ever started something, as it was a term that I kept close to myself, friends, and my family. It’s a direct reflection of my personality and it’s also a reminder to always give your respects to the ones that were here before you. Respect is something earned, and I know that through the years it’s something that you have built your business around. What are your thoughts on reputation and how it affects businesses? I always believe that respect is earned, and to gain that, you need to continue to work hard and no matter how big or small things can get... you need to remain humble and hungry. You grew up skateboarding in Hawaii. How has this childhood hobby crafted your career? I started skateboarding at the age of 14 and it’s pretty much changed my life as I always wanted to be different then the norm. I learned about likemindedness as well as how the industry was always changing. 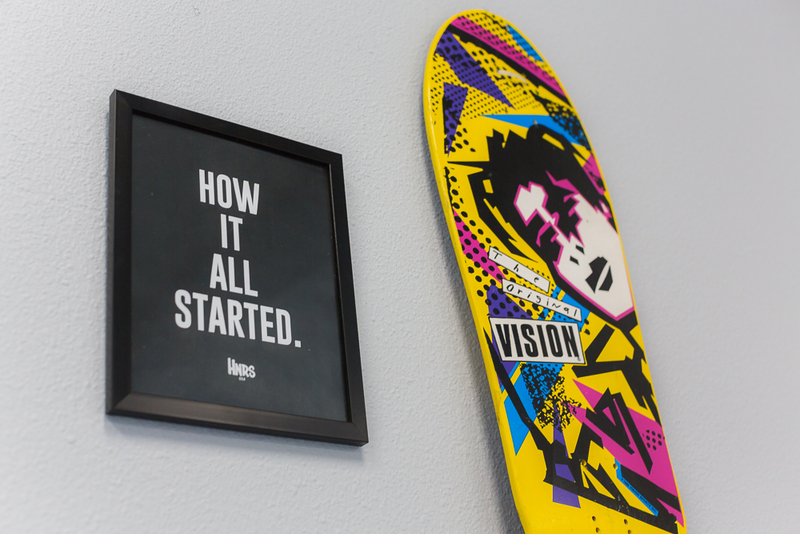 When I started, the main brands were Santa Cruz, Vision, and Powell Peralta, and I loved how the Rocco movement happened as all these new brands started coming out – which kept me intrigued and always interested. I see that this movement is kind of happening again and want to focus on this new movement of skateboarding and streetwear. 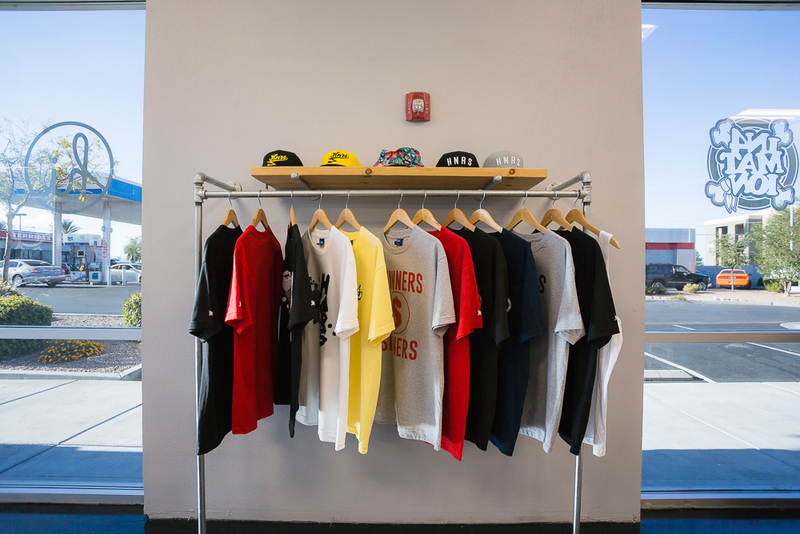 At In4mation, you helped bring not only streetwear to the islands, but also helped showcase Hawaii and the skateboarding / streetwear culture to the world. Is this something you hope to repeat for Las Vegas? 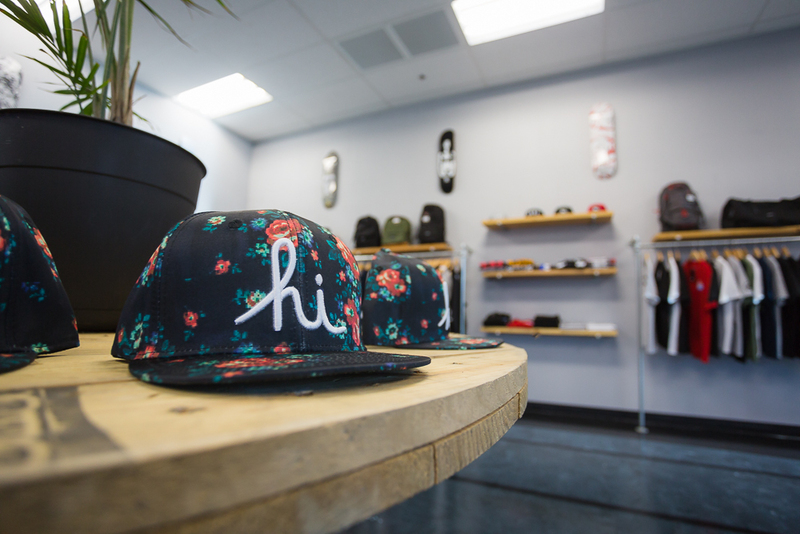 When we started In4mation, we had a vision of becoming Hawaii’s newest establishment that would not only find the newest brands, but also give the consumer a certain experience on why we are carrying these brands. 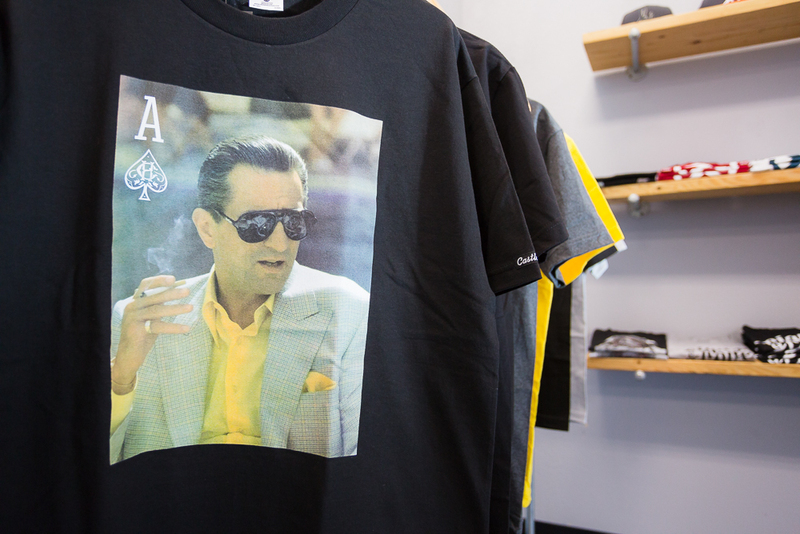 Before the streetwear boom happened, we prided ourselves in giving the customers a complete run down on a brand’s history and the people behind it. I plan on continuing this way of service as this is how I believe we can gain our loyal following. It’s really fun letting people know about new things happening and how things change in the industry. Why did you wait until now to finally start your own venture? 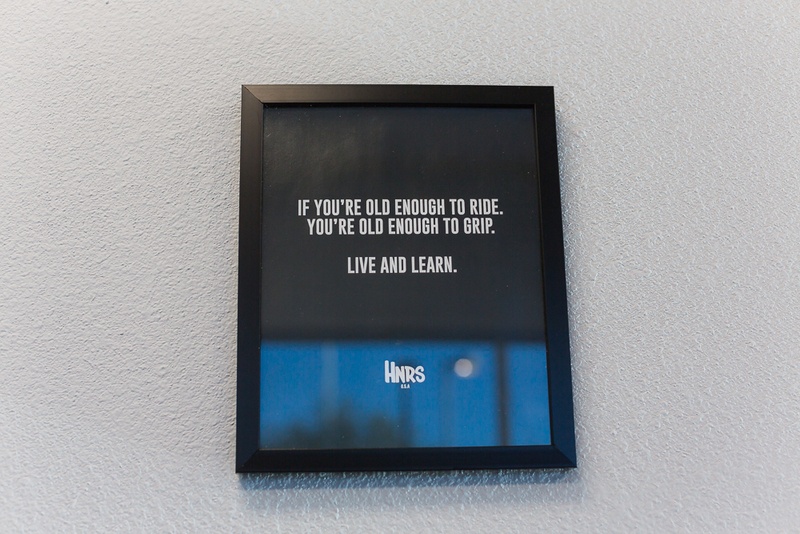 I moved to Las Vegas 3 years ago and have worked for a couple of other companies in that timeframe. It was just eating me up inside as I was used to waking up, getting ready, driving to work, and dealing with my partners at In4mation each day, who are also my close friends. This is a tradition in which I want to continue out here in Las Vegas, Nevada. Las Vegas locals seem to avoid “The Strip” as much as possible, did this factor in on choosing the location for HNRS? Do you plan on catering to the locals vs. visitors? I chose the location as I did some research at a recent event we did called Pure Aloha... we asked a lot of the people from Hawaii that reside here where they live and majority of them said the Southwest area of Las Vegas. We plan on catering to the locals as well as all visitors who wants to find something different. Now that you’re a Vegas local, what are 3 of your favorite local spots to eat at? My top 3 are: Tonkatsu Kiyoshi, Ramen Sora, I-Naba [Yelp is amazing]. What will separate your shop from others? What brands do you currently offer and what brands do you hope to offer? There are a lot of factors that will make the store differ as we are being really selective with our brand mix from hard goods to soft goods. We also are focusing on building brands as we want our consumer to understand why we have these certain brands in our store, which was the same philosophy we instilled with In4mation in Hawaii. 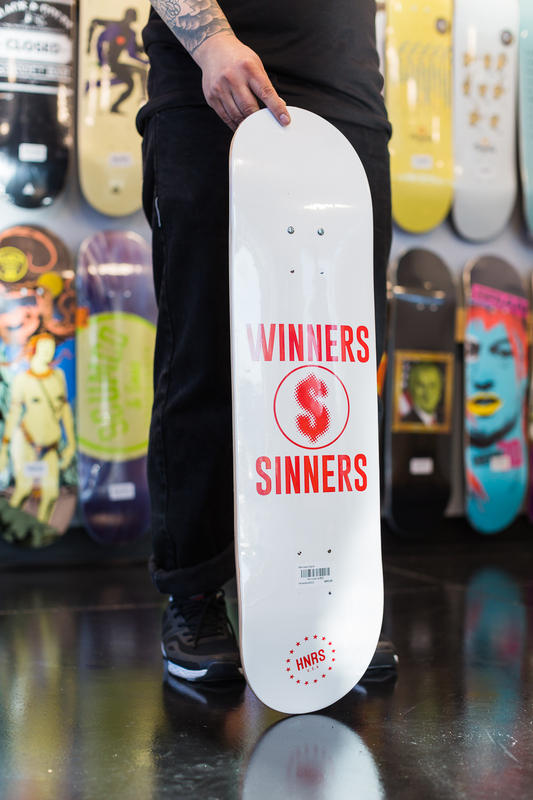 Our brand roster consists of: Passport, Poler, Magenta, Politic, Music, Belief NY, Quiet Life, Alive & Well, Modus, Filament, Independent, Spitfire, Lakai, Nike SB, Girl, Chocolate, Scumco & Sons, Hopps, Evisen, Prize Fighter NY, Bravo Co, 3D, Skate Mental, Special Crud, and we serve as a flagship for the HNRS brand, In4mation, and Aloha Army. 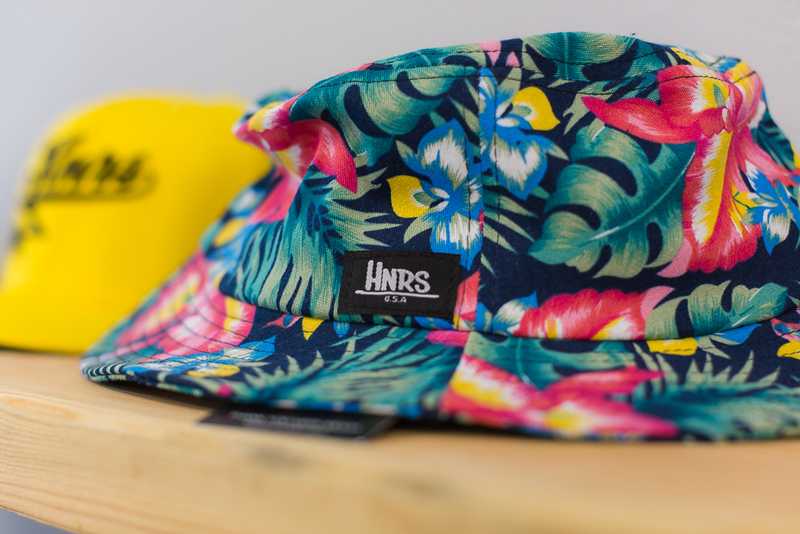 What other services will HNRS offer at the shop? We also will be doing custom die-cut stickers for the community out here as I am getting requests for the islands and honu’s [Turtles] from the Hawaiian community out here in Las Vegas. I know you’re big into hip-hop, but the music played at shops typically sets the tone and vibe for the shopping experience as the customer enters the doors for the first time. What music will be in heavy rotation at HNRS? We will, of course, play hip-hop, but depending on our moods will throw in a mix of oldies and classic Hawaiian and Rock-n-Roll. What are the future plans for HNRS? Any collaborations? We have a lot planned going forward, and like anyone, we just want everyone who walks in to be happy! As for collabs... we do have some amazing things we are working as a trifecta, as it will be in alignment with the In4mation stores in Hawaii. Any advice for someone looking to build their own brand? Be very patient and original. Also don’t ever expect things to just happen. Things need to be made happen by you and your team.